Actually I like watching all kinds of car racing, from F1, to Rally, to NASCAR, I must say I am a bit bored with Indy 500 since it keeps going in the same direction in an oval. At least NASCAR has some lefts and rights and not only left. Not that I am saying NASCAR is better than Indy 500. It is just my personally preference. Hmmm, I do not clean my car that often as some other people do. And actually a dirty car can be cool. 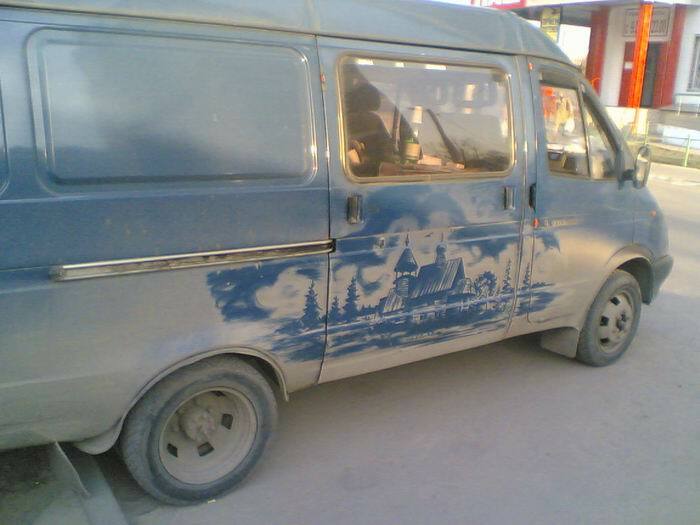 Here is a dirty van with some added coolness to the dirtyness. My wife once had UTI, which can be brought about through Cystitis. She was really in pain. What she was feeling was having a hard time urinating and she always had to urinate often which was always painful. With this kind of feeling she started to have a high fever as well and was getting the chills because of the pain in the pelvic area. Although there are several types of Cystitis, the most common cause is by the bacteria Escherichia coli, commonly known as E. Coli, that when found in the lower gastrointestinal tract, this is where the Cystitis problem starts. Treatment always recommends doctor attention and in most cases of bacterial infection, an antibiotic is prescribed. Although there has been several side effects known with the use of antibiotics, there are some recommended alternatives such as D-Mannose. There is natural and synthetic D-Mannose and D-Mannose can be naturally found with simple sugar since this is a stereoisomer of Glucose and can be found in small quantities in fruits like cranberries. Although our bodies had D-Mannose, this is abundantly excreted into urine. This is know to work well with bladder infections such as Cystitis, as this can flush out E.Coli. If I have know this when my wife had UTI, I would have recommended this treatment to augment her antibiotic medication. Itâ€™s safe and has no known side-effects. And D-Mannose can easily be purchased online. Disclaimer: I am no doctor and if ever you have Cystitis, UTI or any type of bladder infection, don’t just listen to my advice and take D-Mannose. Consult your doctor and seek their advice. WTF? Samuel L. Jackson what? Samuel L. Jackson really got pissed with the m****** f****** snakes on a plane. He got so mad he made holes in the plane to make all snakes fly out and fall to do some skydiving. And what is this I am hearing? Online Poker addicts on the Mac are complaining they can play Poker on a Mac? Totally wrong! Check what Samuel L. Jackson has to say about that with PokerOnaMac.com. Cool pendant, I am getting one for my wife! This pendant is actually a part of history too. Since it is 25 cents in Philippine currency which is no longer used as the flora and fauna coin series were already changed. And only coin collectors probably have these coins of the past. This coin is silver and gold plated. Looks like a cool pendant to me. 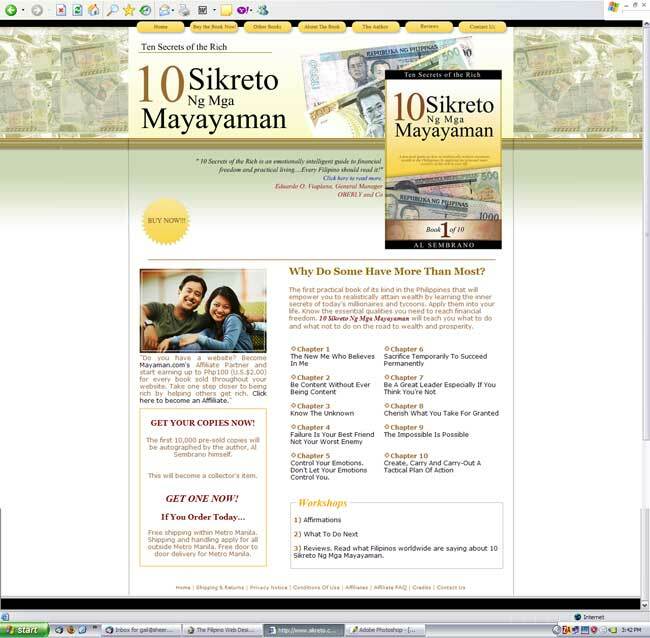 I bought mine from this online store. If you want one too, I link the photo to the store. This is the final design that came out. Hmmmm… what do you think? Looks like a free design. So this is the secret of this rich! 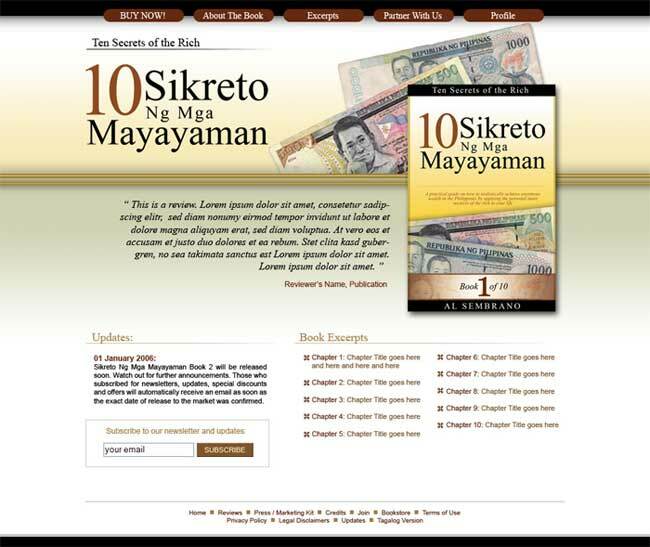 *LOL* Read the story about the 10 Sikreto ng Mayayaman and you decide yourself if this is a major rip-off.